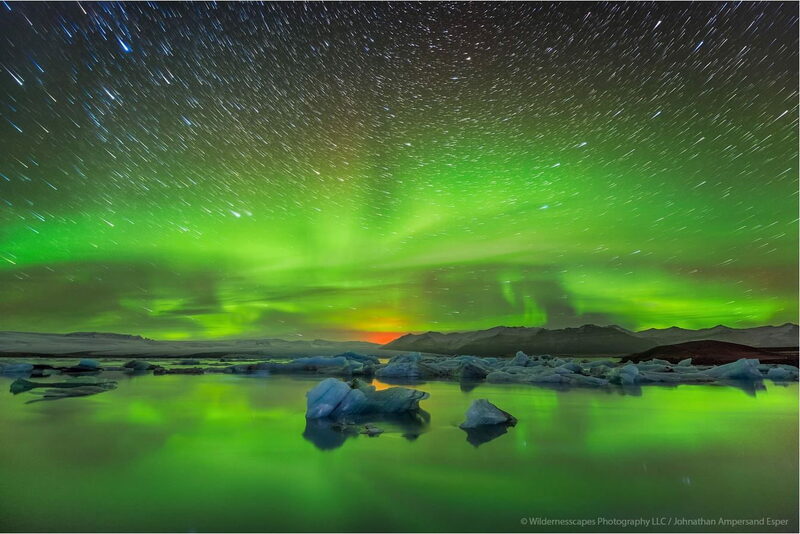 The Holuhraun Volcanic eruption glow (center), Auroras reflected in the Jokulsarlon lagoon filled with blue icebergs, and star trails. Taken while guiding a photo tour (more info about workshops on my website IcelandPhotography.com). Photo © copyright by Johnathan Ampersand Esper.